Your Purchase is Guaranteed! You have a full 60 days to try out the HealthSmart AC Filter and see for yourself if it does what we've promised it to do. If it doesn't, just return it and we'll refund your payment -- guaranteed! Do you need a: Custom size air filter? 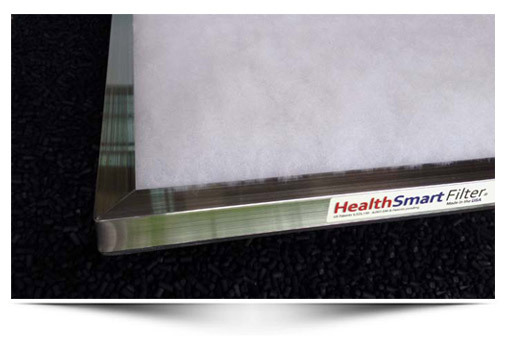 HealthSmart Filters are the next generation in air filtration, they are unlike anything you've seen in stores. Designed specifically for the protection of human health; they replace your existing A/C or furnace filter. Once installed, this air purifying system will transform the quality of the air you breathe. We guarantee it. You'll receive the patented HealthSmart air filter frame. This permanent, 100% aluminum frame features a unique Leak-Guard Seal to eliminate bypass. To enhance performance, we have incorporated an electrostatically-charged screen into the frame. We'll make your new frame the exact size that you need to ensure that you will always have air filters that fit perfectly! You won't need to make any modifications to your existing equipment, it fits all makes and models. 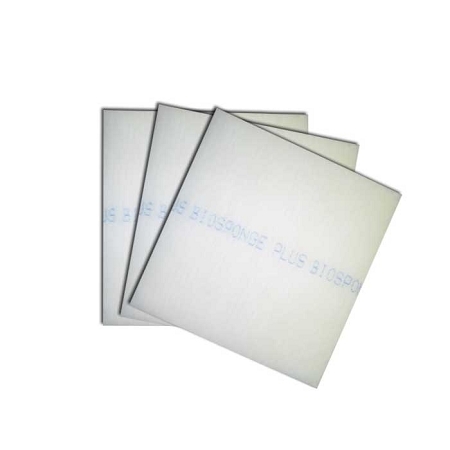 Your frame includes a supply of BioSponge plus filter refills. 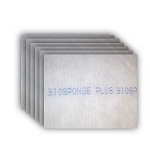 BioSponge plus is a highly efficient air filter media. This high lofted polyester filter media features a special dual density design to allow for efficient particle loading and an extended filter life. 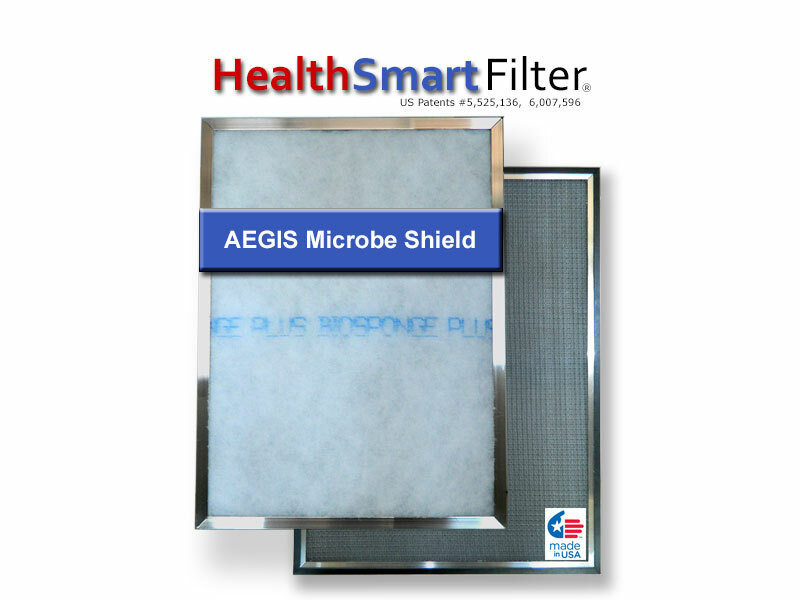 It’s Aegis microbe shield not only eliminates the filter as a potential breeding ground for micro-organisms, when tested, they reduced airborne micro-organisms by up to 86.5% in a single pass through the filter! Improves the quality of the air you breathe - Guaranteed. HealthSmart Air Filters are up to 600% more effective in capturing dangerous fine particles and fumes from your air, compared to ordinary store bought air filters! "I recommend the HealthSmart Filter to all my patients. It is the most effective air filter I have ever used in removing airborne contaminants." To make sure that all the air and pollutants go through your furnace filter and not around it, your new filter features our patented Leak-Guard Seal. When your air conditioner or furnace turns on, the difference in pressure causes an air tight seal. No bypass means you're filtering 100% of the air. That means the harmful particles are trapped in the air filter, rather than in the lungs of you and your family. It has been proven that mold and mildew are a common cause of allergies. As they grow, mold and mildew can release irritating spores into the air. You can control these spores from contaminating the air you breathe by using HealthSmart Filters. BioSponge plus air conditioning filters utilize Aegis technology to eliminate the filter as a breeding ground for mold, fungi, bacteria and other common airborne contamination. Aegis treated filters, when tested, reduced airborne micro-organisms by up to 86.5% in a single pass! You could think of the air filters surface as a layer of electrically charged swords. When micro-organism come in contact with the treated surface, the sword punctures the cell membrane and the electrical charge shocks the cell. Since nothing is transferred to the now dead micro-organisms, the antimicrobial doesn’t lose strength, the sword is ready for the next micro-organisms to contact it. How do Activated Carbon filters remove odors? 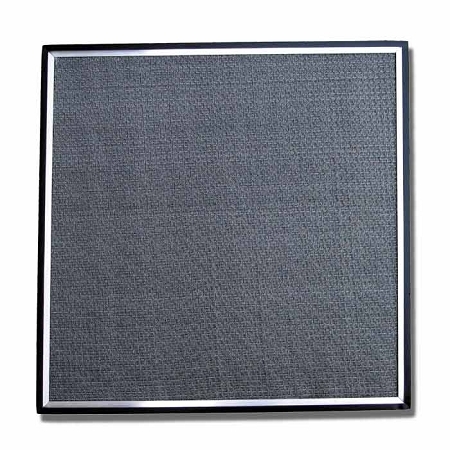 Activated Carbon filters have the ability to capture gas molecules and hold them. The Activated Carbon filter surface is made up of millions of tiny pores, the gas and odors fall into these pores and are trapped there until the air filter is disposed. A single Activated Carbon filter has a flattened surface area of a football field. How do Zeolite air filters remove odors? A three dimensional, micro-porous natural earth mineral, thermally bonded to polyester. Zeolite has the ability to remove Volatile Organic Compounds (V.O.C.) and gases. They are trapped in the void porous cavities in the filter. It is especially useful in removing Ammonia and ammonium compound odors such as pet odors and urine odors. Household dust contains up to 1,000 different species of microbes, with tens of millions of individual bacterial cells in each gram. With recent scientific research on how the quality of our air impacts our health and well-being, we’ve learned that it can cause illnesses such as respiratory infections, increase your blood pressure, heart disease, cancer, and that it is linked to autism in children. Not protecting the quality of the air you breathe, is no longer an option. Choose a Frame that Works for You. We hand make your permanent custom sized frame of sturdy aluminum and a permanently attached electrostatically charged screen. They won't bend, melt or warp like plastic or cardboard furnace filters. All filter frames are backed by An industry - leading 10 year warranty! Our Original frame is a 100% aluminum channel frame and features a unique Leak-Guard Seal to eliminate bypass. To enhance performance, we permanently attach an electrostatic screen. 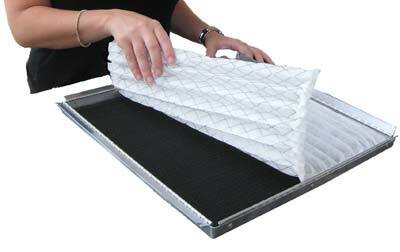 You simply press the air filter media into the filter frame. This unique air filter frame utilizes 4 hinges on the front of the frame. Opening the hinges allows you to place the filter media into the frame. When you close the hinges they lock, securing the air filter media. The Snap filter system utilizes a two part frame. The two frame halves are held together by 8-12 very strong neodymium magnets. To replace filters, just pull the frame apart. It’s so simple! As an added bonus, for systems that use multiple filters, Snap filter frames will cling to adjacent Snap frames, eliminating air bypass. Your HealthSmart® Filter may qualify for reimbursement under your health plan and may be tax deductible if prescribed. Ask your doctor. 100 Clean Air Credits will be rewarded to you when you buy this item.